Soar through the sky with RollerCoaster Tycoon Joyride™, a fully immersive coaster builder and rider exclusively for PlayStation®4 and enhanced for PlayStation®VR. 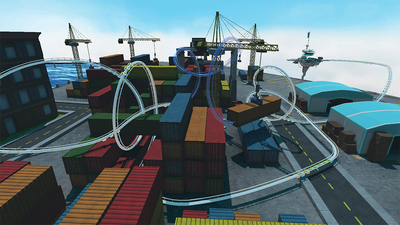 In the first virtual reality game in the RollerCoaster Tycoon® series, players can build and ride breathtaking roller coasters in thrilling environments with an easy-to-use coaster builder. 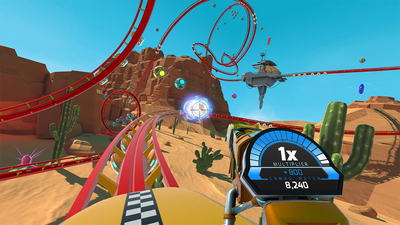 In a twist on the coaster experience, riders can shoot, blast, and explode moving targets to reach the top of the leaderboards. Compete against friends and challenge them in multiplayer mode and share your incredible coaster creations with other players on PSN. With special bonus events, and more fun-filled features, RollerCoaster Tycoon Joyride delivers a pulse-pounding and exhilarating experience. I would be genuinely angry if I had paid money for this RollerCoaster Tycoon game. There is none of the tycoon fun of the original game, the rollercoasters are overshadowed by the shooting and the VR is slapdash at best. 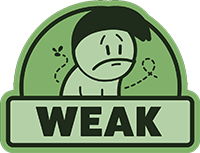 The entire experience feels like an alpha build of a rail shooter that someone decided to slap the Tycoon name on to sell more copies. I cannot, in good faith, recommend this game under any circumstances. RollerCoaster Tycoon Joyride is a game that fails in delivering anything that remotely resembles what made the series good in the first place, instead, players are left with a hollow husk of a game that feels unfinished and rushed. At several times while playing RollerCoaster Tycoon Joyride, I became convinced I died and this was my personal hell. 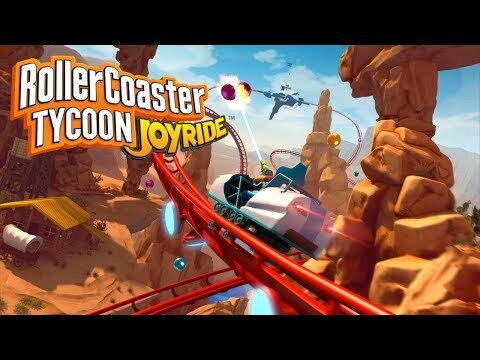 In a world where we thought the worst RollerCoaster Tycoon game had already shipped, Joyride shows up to claim that spot. I had hopes for RollerCoaster Tycoon Joyride but they sadly crashed and burned when I got to see what it had to offer. Designing the tracks can be irritating due to a wonky camera, riding the tracks isn’t that thrilling do to lack of speed, and I still wonder why there is a first-person shooter in this.